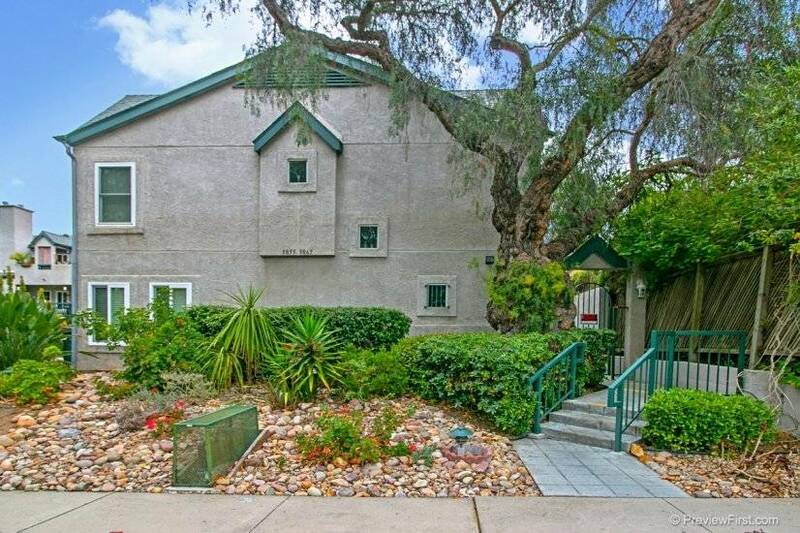 Located at the end of a cul-de-sac in a garden-like setting near a wooded canyon. 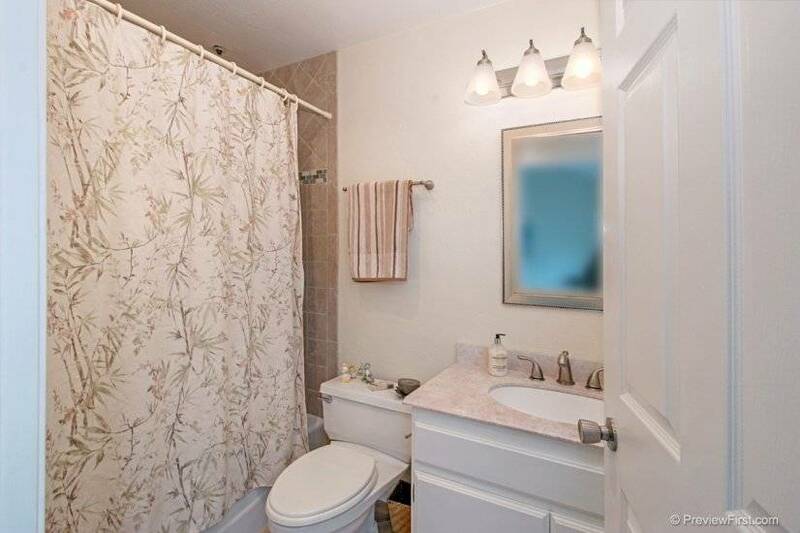 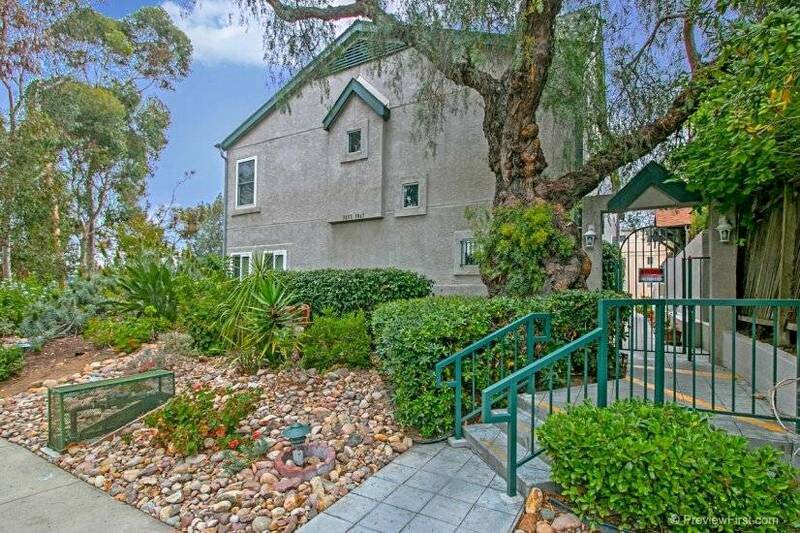 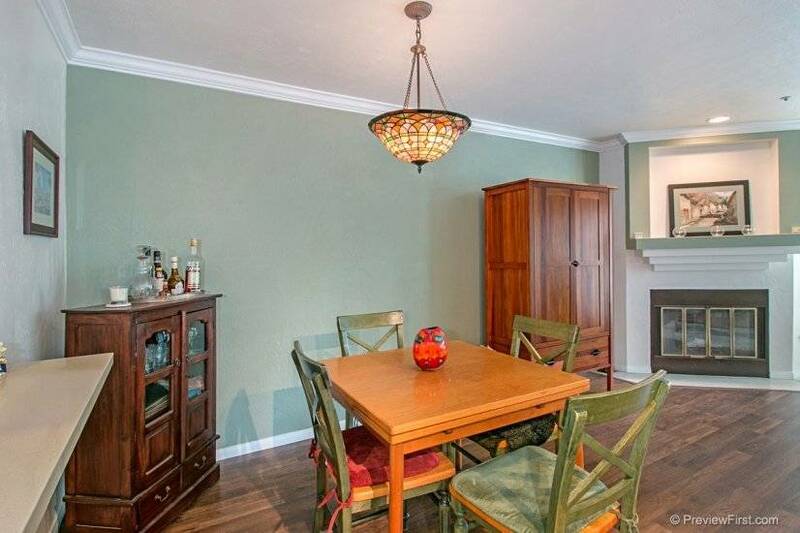 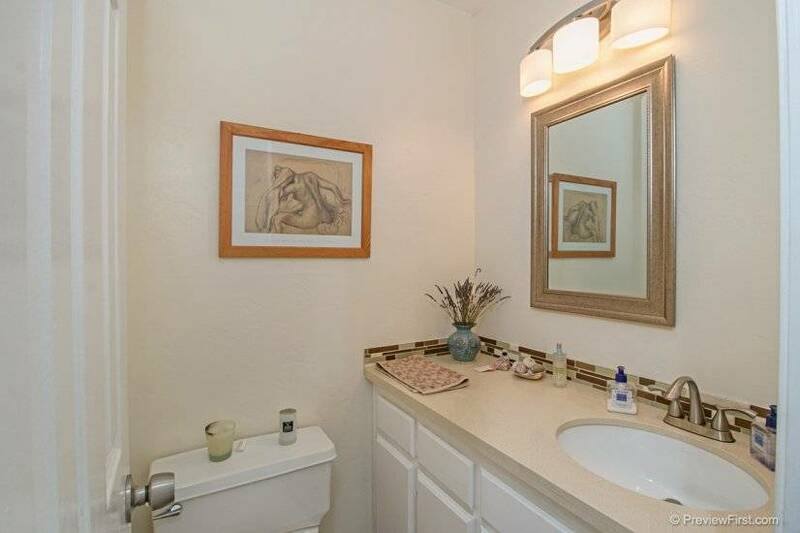 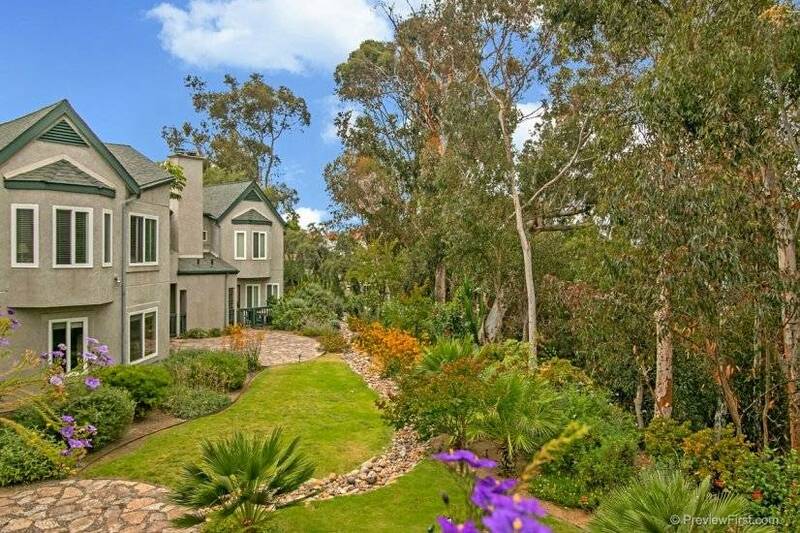 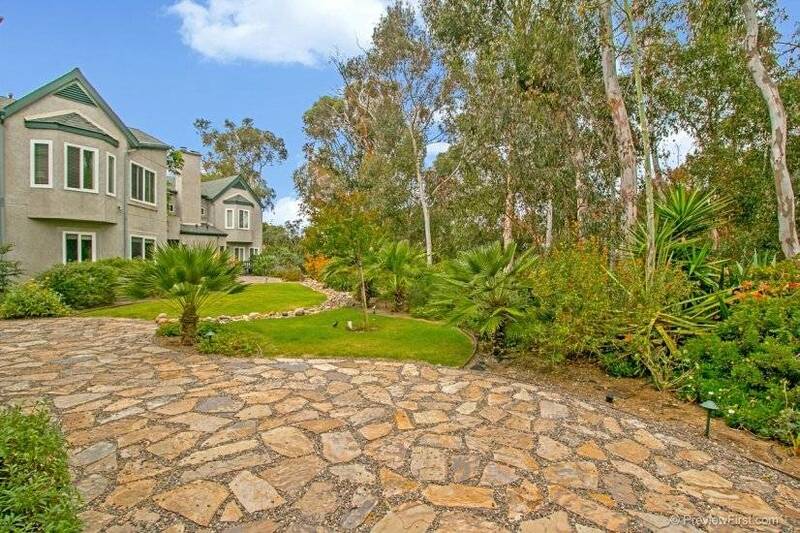 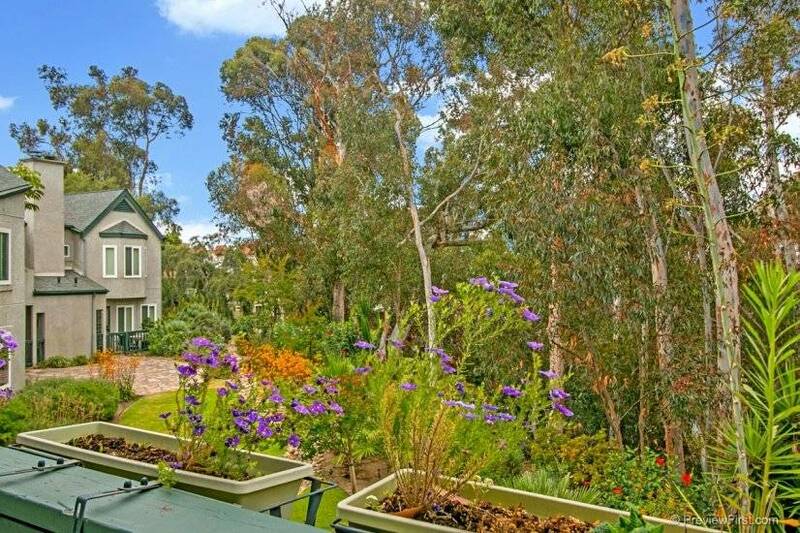 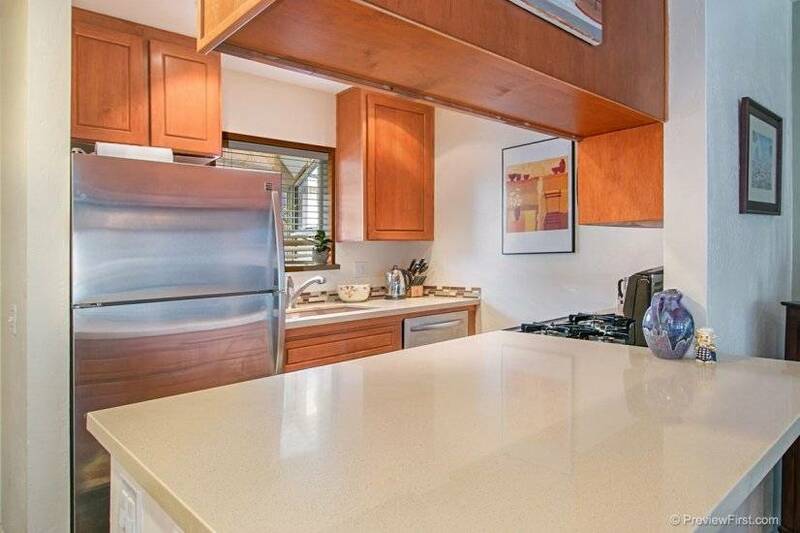 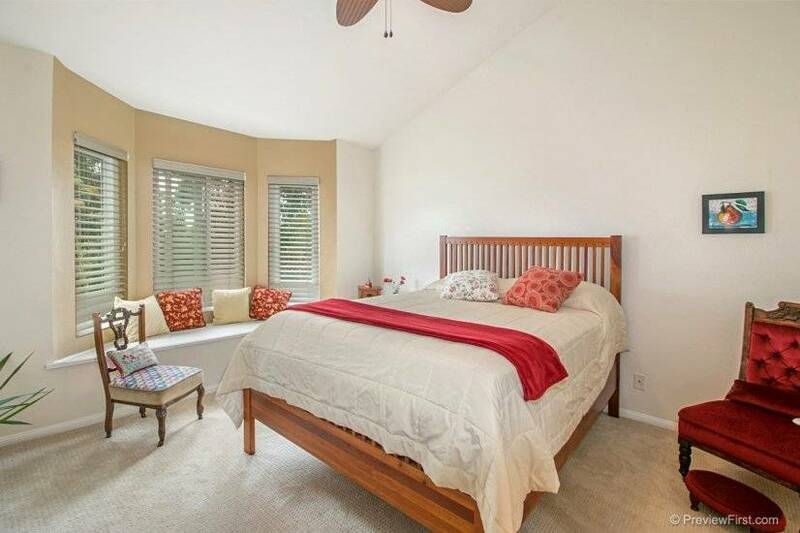 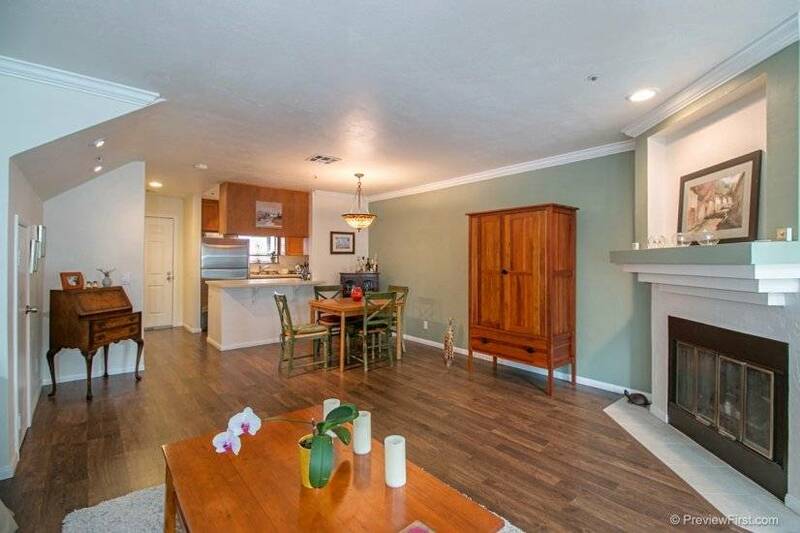 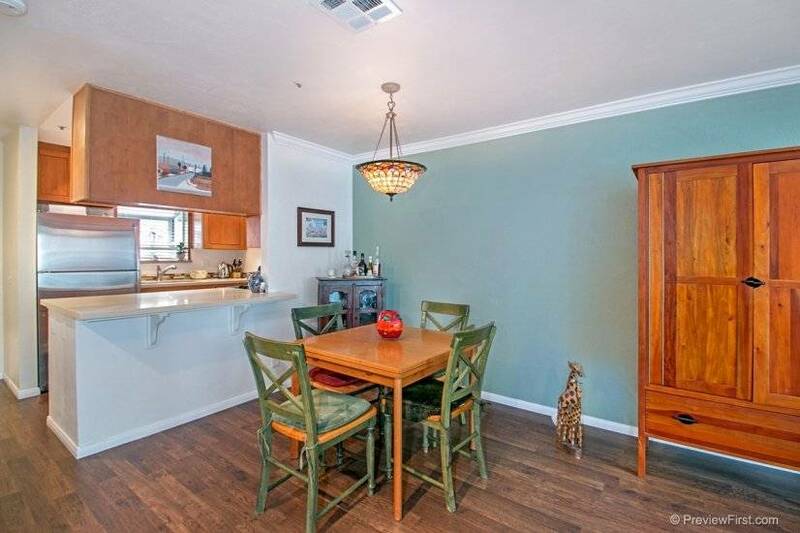 Serene location, yet blocks from walkable Hillcrest/Mission Hills shopping, restaurants, nightlife, grocery stores. 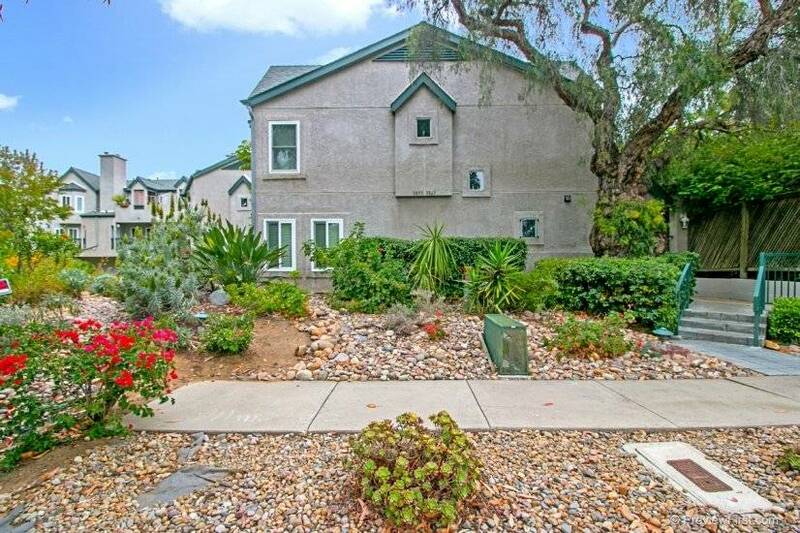 Short distance to hospitals (UCSD Medical Center and Scripps Mercy Hospital), universities (SDSU, USD and UCSD) and military bases ((North Island, 32nd St naval base, and MCRD). 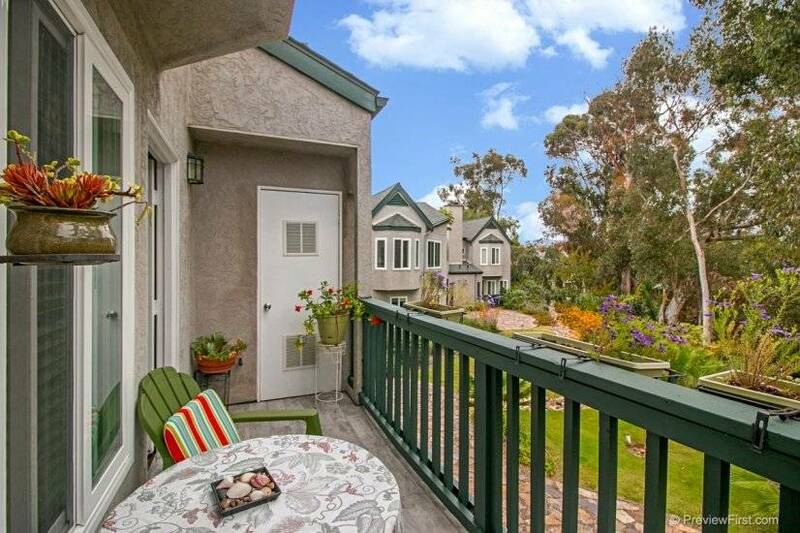 Biking distance to Downtown, Balboa Park and beaches. 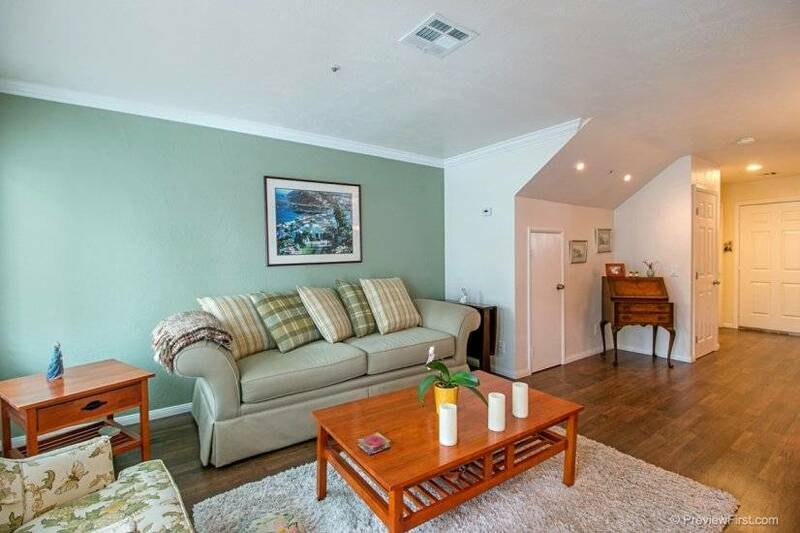 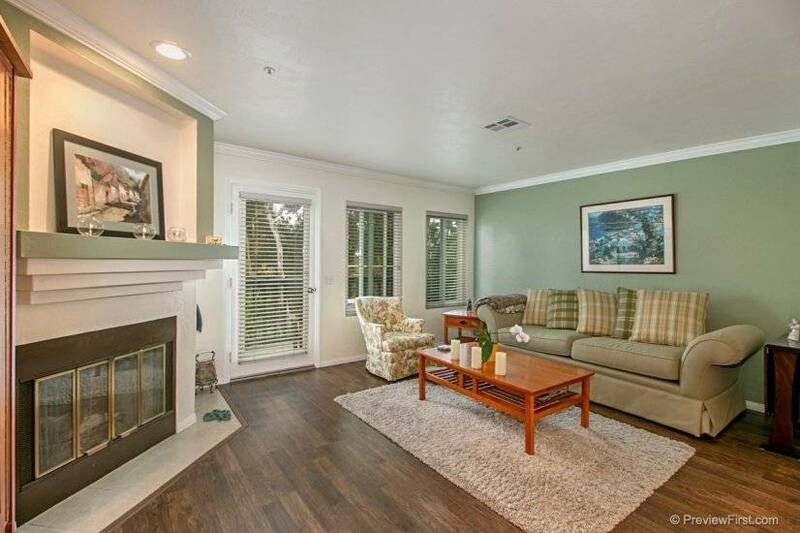 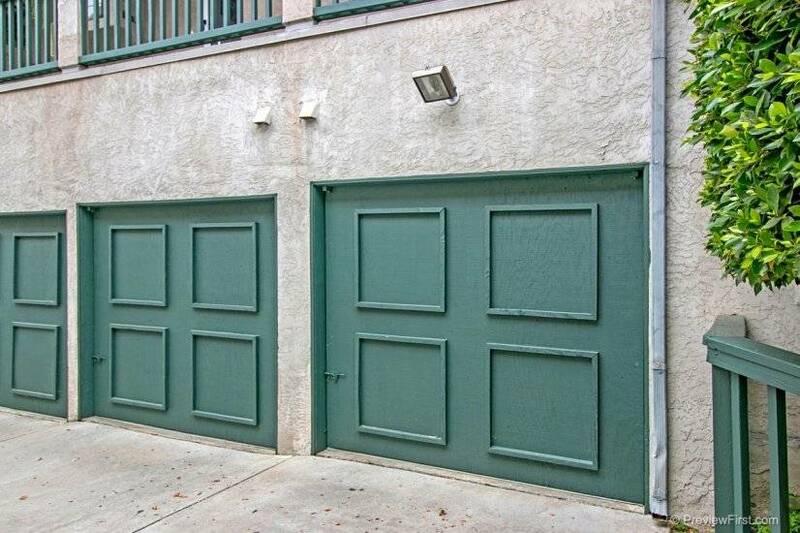 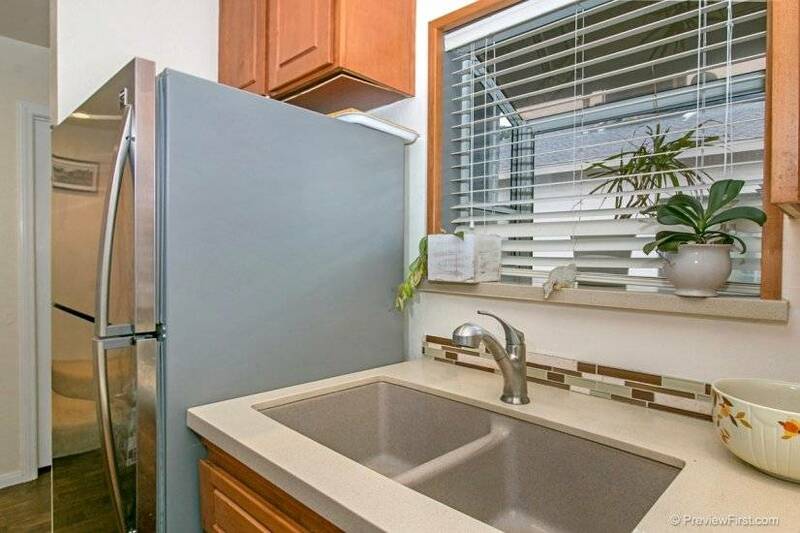 Convenient freeway access (163, 5, 15), only 10 minutes to San Diego International Airport. 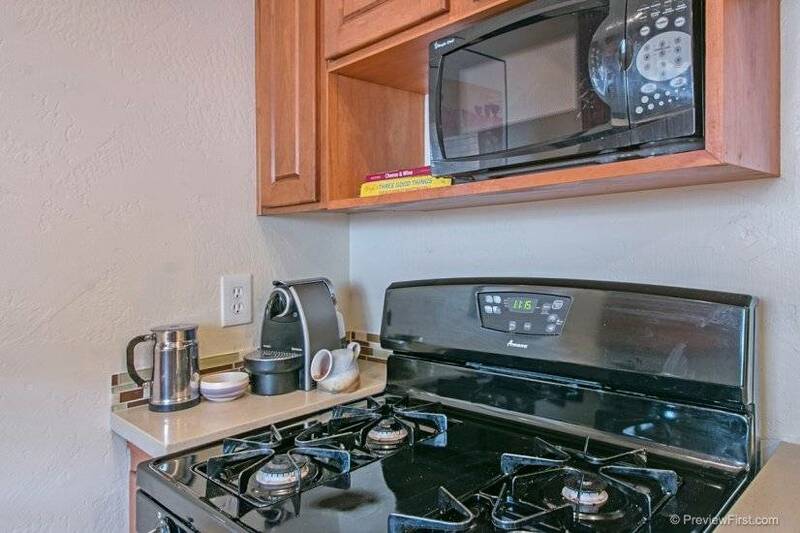 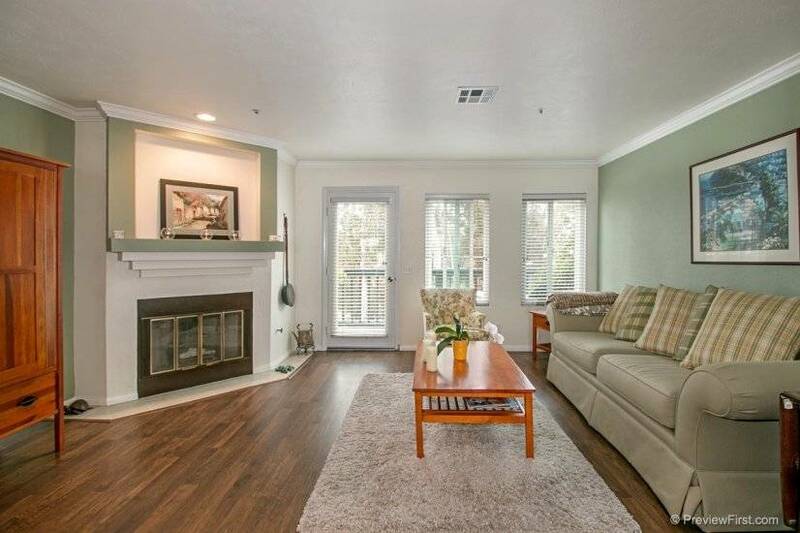 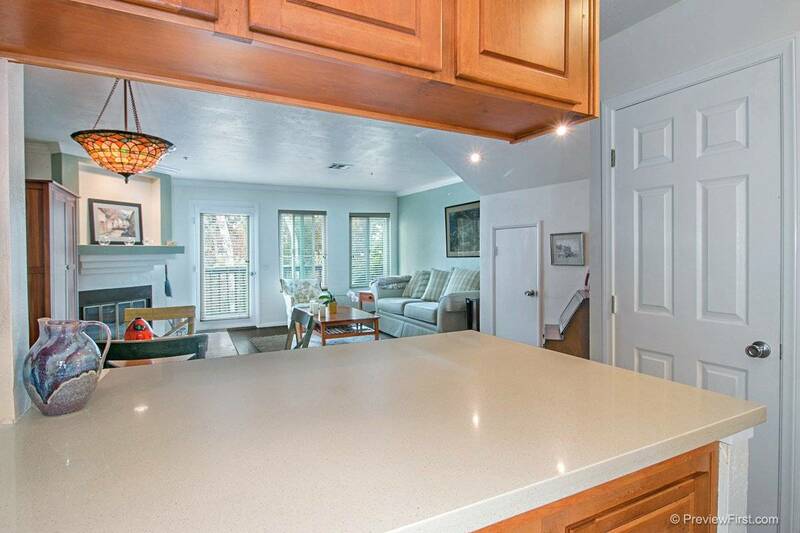 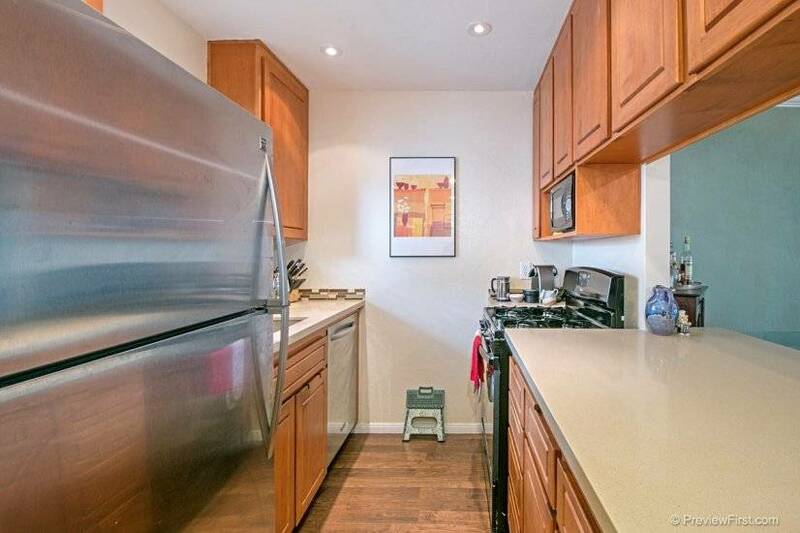 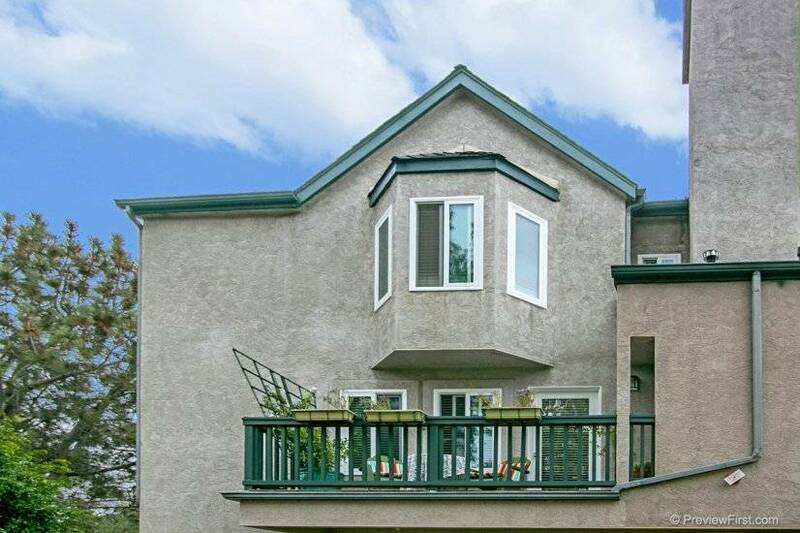 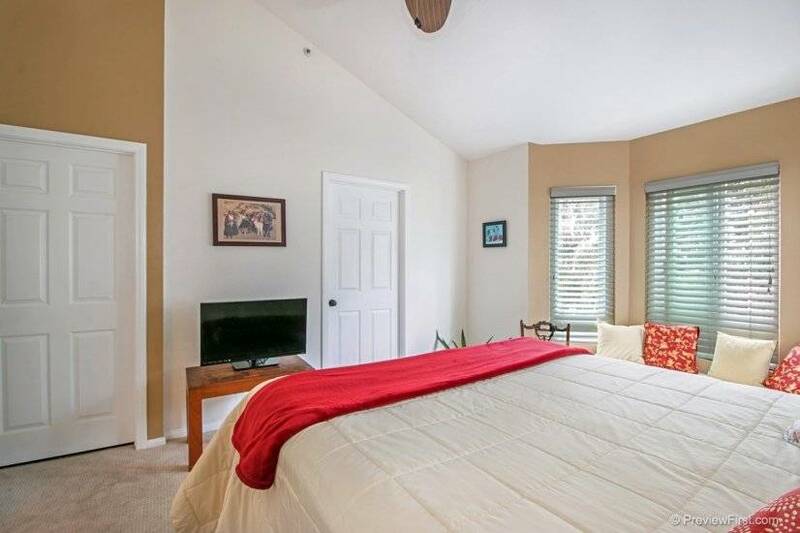 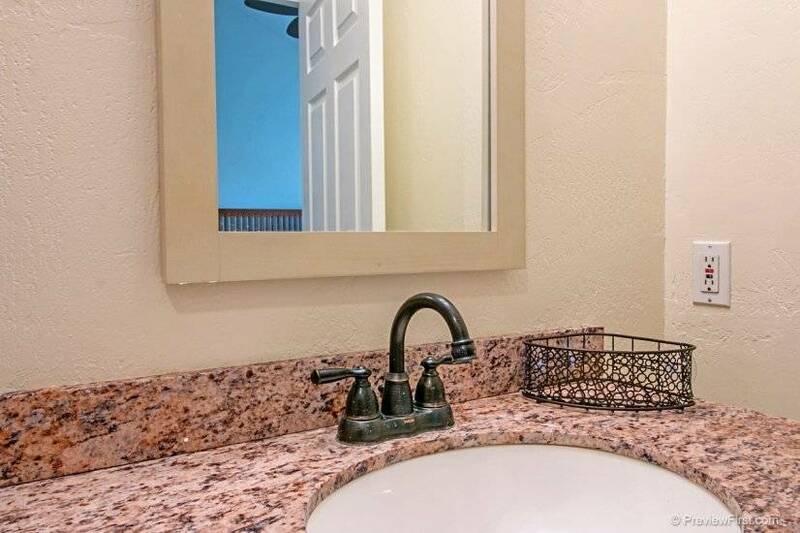 This fully furnished two-story northwest corner unit (only one shared wall), features gas fireplace, fully stocked remodeled kitchen with garden window, two spacious bedrooms upstairs with built-in closets, remodeled private bathrooms and vaulted ceilings. 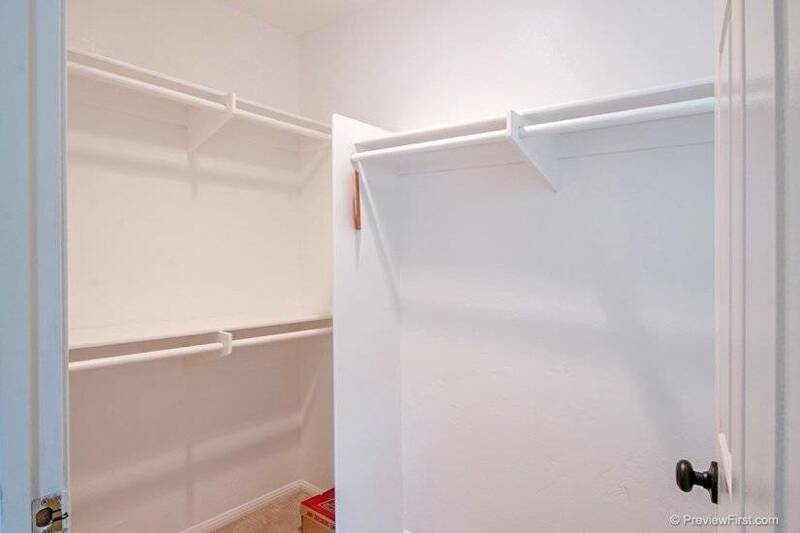 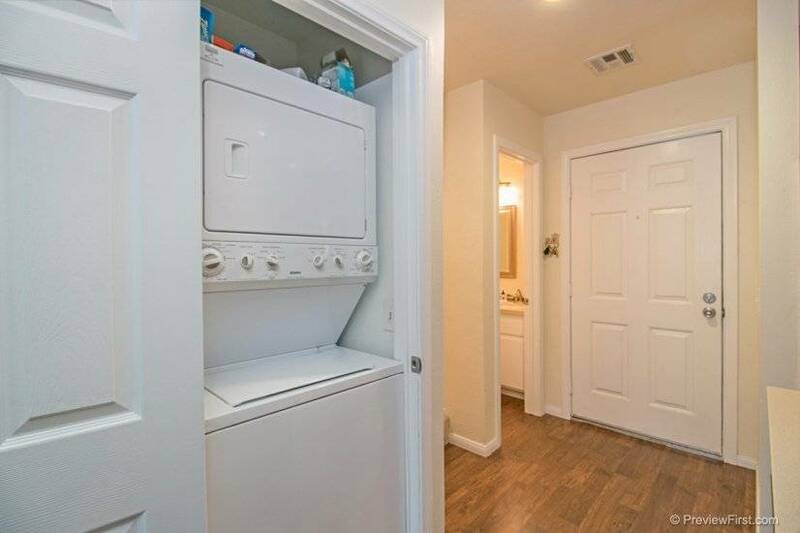 Stackable washer-dryer in unit, large under stair storage. 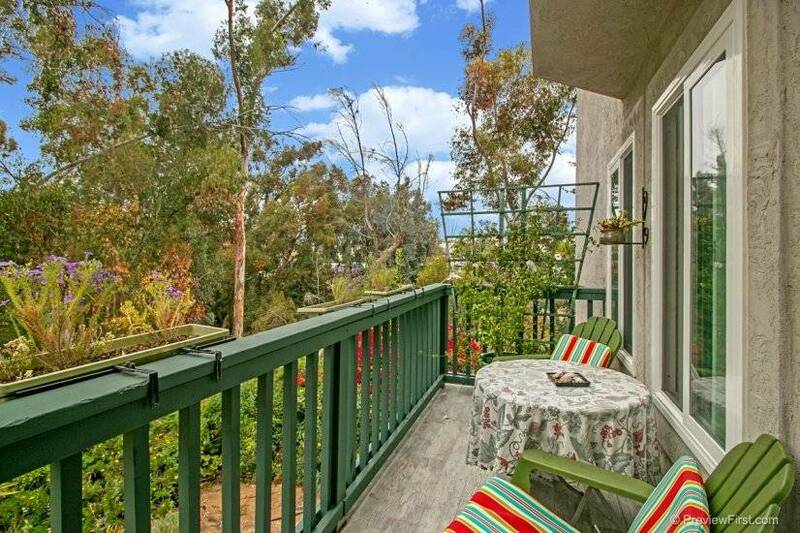 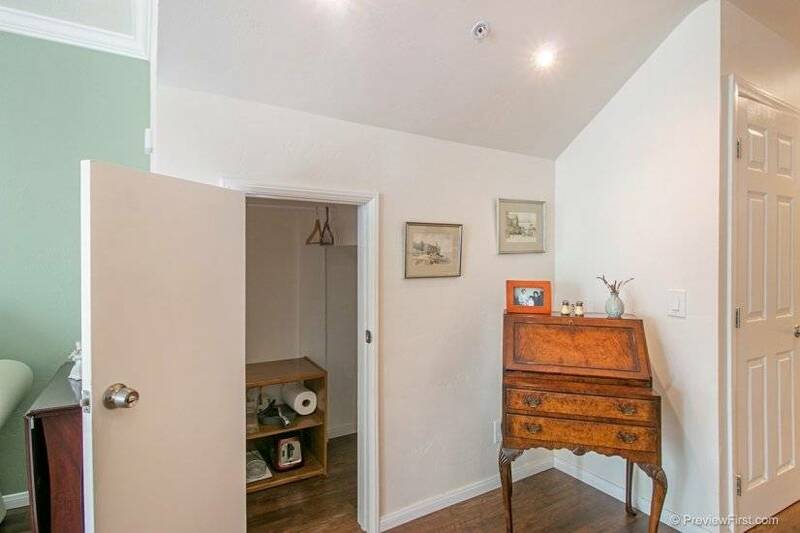 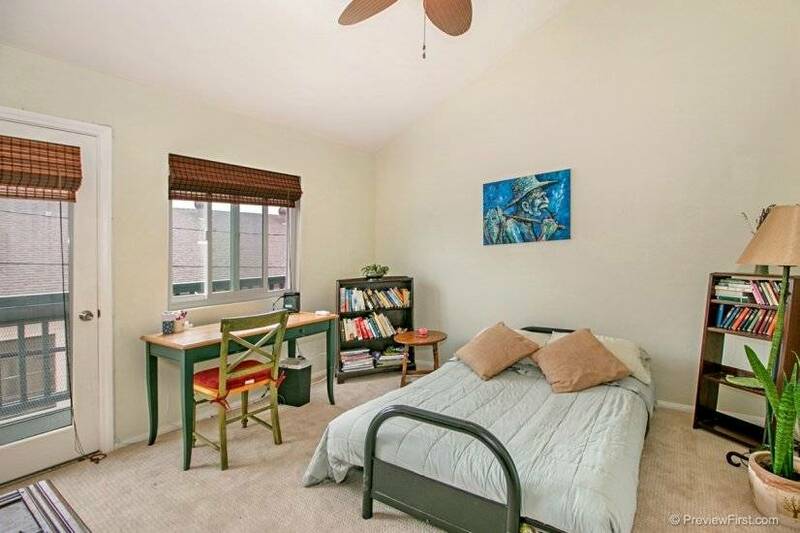 Private balcony off living room with unrestricted view of garden and canyon. 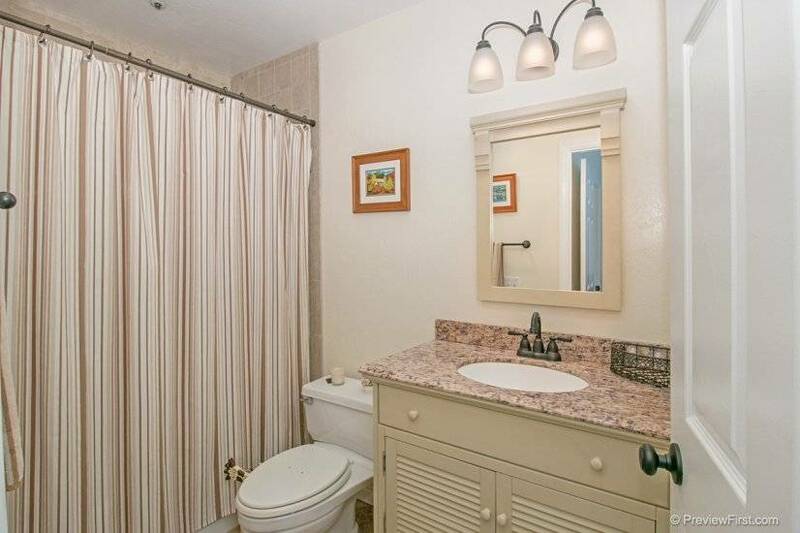 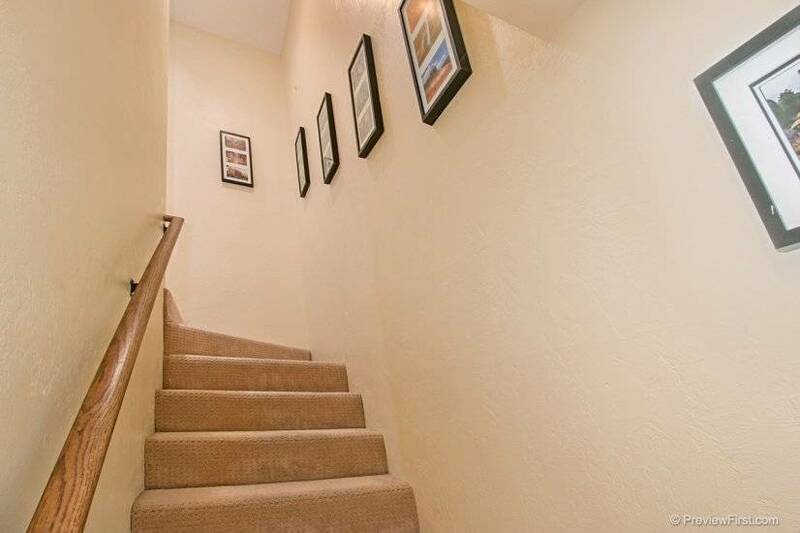 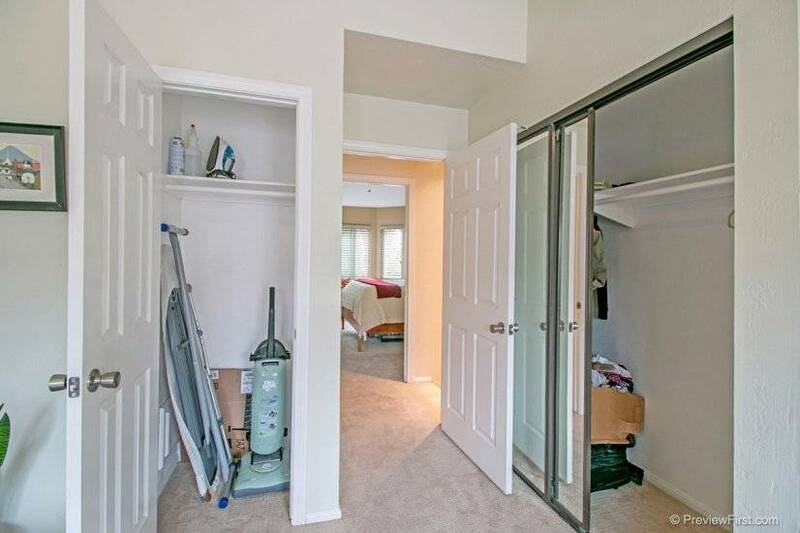 Laminate flooring downstairs, carpet upstairs and tile in bathrooms.